Expect multiple changes in the seasons over the next week or so. We’re going to go from winter Wednesday morning to spring by the end of the week. However, spring will turn back into winter early next week. A warming trend will start on Wednesday and will continue through the end of the work week. A cold front will slide through late Friday into Saturday. This front won’t be a big rain maker for the ArkLaTex, but it will knock our temperatures down. High temperatures will go from near 70 degrees on Thursday to the mid to upper 50s on Sunday. Early next week will be even colder. The cold front that will slide through the ArkLaTex late Friday into Saturday will stall south of the ArkLaTex. By early next week, moisture will start to overrun the front. This will allow lead to more clouds and rain to develop across the area. This will likely be a cold rain with temperatures only topping out in the 40s on Monday and Tuesday. Our next best chance of rain won’t be until early next week. With that being said, our rain chances are not zero Thursday through Sunday. Even though it’s not likely, a few sprinkles or light rain showers will be possible. Most will not have to worry about dodging rain drops during this time. We’re not going to see a ton of rain Thursday through Sunday, but we’re not going to see a ton of sunshine either. Most places will not even see a quarter of inch of rain by the end of the weekend. This means the rain won’t be widespread or heavy. Rainfall totals will increase Monday through Tuesday. The latest run of FutureTrack shows widespread rainfall totals from Shreveport-Bossier and points east and south could see between 0.5-1″ of rain. This is the area that will likely have the best chance of rain on Monday and Tuesday. FutureTrack shows the heaviest rain will fall east of the area. Widespread heavy rainfall and severe weather look unlikely early next week. Valentine’s Day will likely be the warmest and windiest day out of the next 7 days. 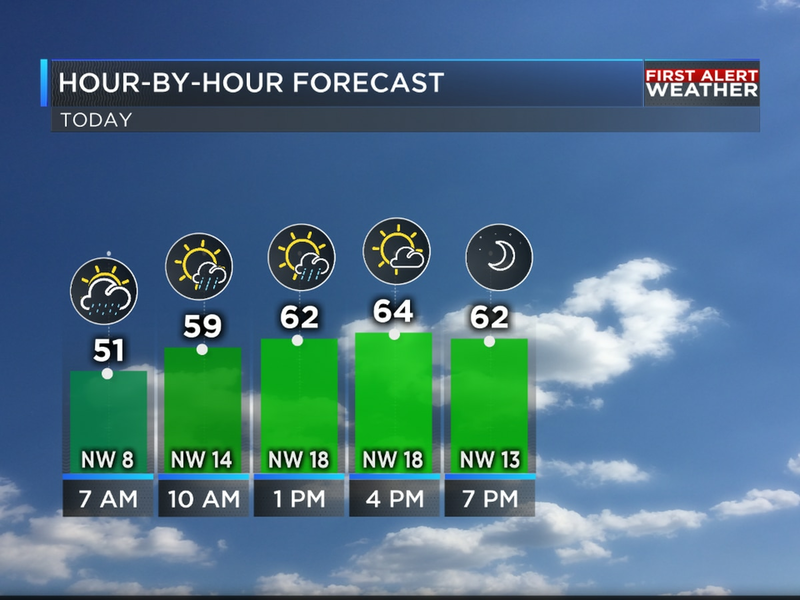 Despite a partly to mostly cloudy sky, a strong south wind will help drive temperatures to near 70 degrees. Expect a south wind at 10-20 mph. Wind gusts could be above 30 mph. A Lake Wind Advisory will likely be issued for portions of the ArkLaTex on Thursday. With choppy waters, boating probably won’t be the best thing to do with your loved one on Valentine’s Day, especially late in the day.